By midcentury German bier gartens, music halls, and social halls provided the residents entertainment and diversion. In 1860 the Aschenbroedel Verein, or Cinderella Club, was founded by professional orchestral musicians in a “little public house at Broome and Mott streets,” as described by The Sun later. It was not only a social and musical club, but was involved in philanthropic works as well. Along with the Arion Society and the Liederkranz Club, it would grow to become one of the leading German musical-based institutions of New York. Among the members were several highly-esteemed musicians, including Theodore Thomas (who headed the highly-popular Theodore Thomas Orchestra), Carl Bergmann, and Walter Damrosch. Damrosch was born into a musical family. His mother was the opera singer Helene von Heimburg; and his father the conductor Leopold Damrosch. Walter Damrosch studied at the Dresden Conservatory before arriving in New York with his parents in 1871. By 1888 there were 600 members of the Aschenbroedel Verein. The organization gave concerts to raise money for its charitable causes . One such event was held on September 21 to aid sick or invalid members or their families. “Seven thousand people fond of music and sure of hearing the best were packed and jammed into Washington Park, Sixty-ninth street and Eastern Boulevard, last evening at the great concert given by the Aschenbroedel Society in aid of its relief fund,” reported The Sun the following day. Three hundred members comprised the orchestra and the newspaper reported that “The announcement that Theodore Thomas was to be the conductor, that Miss Emma Juch and Messrs, Theo. Toedt, Geo. Prehn, and Rafael Joseffy were to contribute their services, together with the moderate entrance fees of 50 cents and $1. brought an immense crowd.” Following the concert around midnight, the Jones Wood Coliseum next door was opened for dancing. The society netted $3,000 for its relief fund—an significant $71,000 by today’s measure. Within three years the four-story clubhouse had become too small for the still-growing association, now numbering 700. The Sun reported “Some time ago, however, the members concluded that they needed a bigger house, and that it would be pleasanter to have it up town. Very soon thereafter steps were taken to secure such a house.” On May 16, 1891 an advertisement appeared in the Record & Guide offering “A very fine piece of property, known as Aschenbrodel Club House, 74 East 4th st.” The property was offered at $56,000. A month later the sale of the 4th Street property to the Schillerbund Gesangverein was completed. One of the city’s oldest German singing societies, it had been meeting nearby at No. 62 East 4th Street. Now it commissioned German-born architects Kurtzer & Rohl to revamp the building as its own. Frederick William Kurtzer and Richard O. L. Rohl transformed the exterior with ambitious cast iron ornamentation pretending to be stone. Combing neo-Grec and German Renaissance Revival elements, they ran quoins up the sides, crowned the windows in Renaissance-inspired pediments, and placed the busts of three composers over the second floor openings. By now the membership was about 400. The Times ranked the remodeled clubhouse as “one of the best Maennerchor clubhouses in that section of the city.” But within only a few years the choral group moved on. By the turn of the century the building was briefly used as a Polish social club, called Krywaczy’s Hall. Denunciation of the assassin was not enough, apparently. Krywaczy’s Hall was given the new name of McKinley Hall. The Hall was sold in 1904 and became a popular venue for political and labor meetings. “There was the liveliest sort of a row last night at a McKinley Hall…by the residents of the lower East Side who have been trying to perfect an organization to fight the landlords’ raise in their rents,” reported The Times on April 11 that year. Jack Sullivan was known across the city as the “King of the Newsboys.” He had organized the rag-tag group of boys and they successfully carried out a strike for better wages. The enterprising young man studied the workings of men's social clubs and had envisioned a refuge for the newsboys. Starting with his own money, he was able to get financial support from businessmen and reform workers. By December 1905 about $5,000 in renovations had been done. Sullivan showed a reporter from The Sun the layout on December 1. The former dance hall on the first floor was now the gymnasium, outfitted with rings, bars, trapezes, two punching bags, horses and a basketball hoop. “It is a first class outfit and a full one,” said the newspaper. The second floor had Jack’s office and a reading room, decorated with photographs of “poets and Presidents.” There were also showers, lockers and a dormitory on the top floor with cots where “over seventy-five homeless waifs may find shelter during the Winter,” according to The Times. Sullivan’s endeavor was not just to create a club for the boys—he intended to improve them. 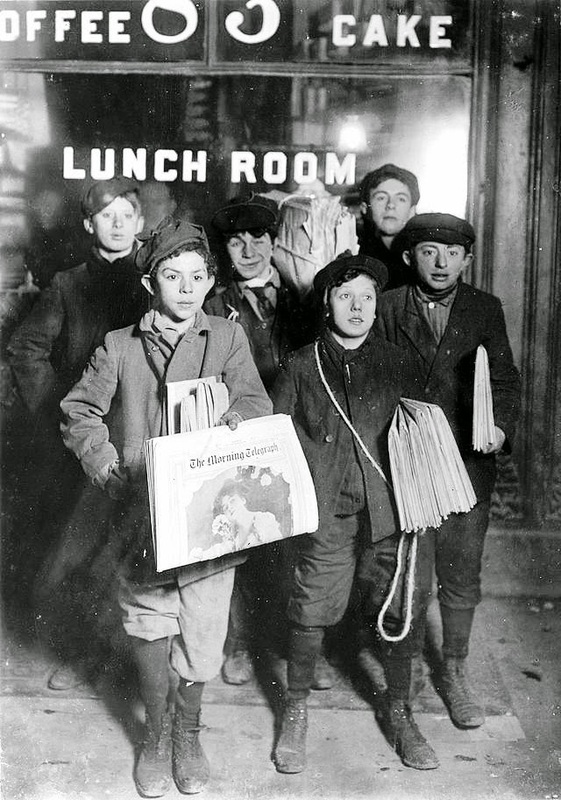 For ten cents a week the newsboys, ranging in age from seven to 20 years, could use Newsboys’ Hall; but in order to make use of the gymnasium, for instance, they were required to study. “Spelling, reading, writing, and geography being the curriculum that Sullivan deems of sufficient importance just at present,” said The Times. The club was a success and benefits were held throughout the years to keep it going. On March 3, 1907 a vaudeville entertainment was staged at the Academy of Music, netting the club $5,000. Sullivan’s determination that the boys would better themselves was reflected in lectures and courses presented in the hall, like the six-part Course on First Aid to the Injured in 1909. Work with Boys magazine reported in January 1912 that “In May 1911, the lease on the 4th Street property expired. As the Club had outgrown the capacity of the building, it was decided to secure a larger place.” That turned out to be the former New York Historical Society at Second Avenue and 11th Street. Newsboys’ Hall returned to its life as a political and labor hall; now called Floral Garden. On the first floor was a restaurant run by Nathan Hirsch. By now the world was terrorized by anarchist groups like the Black Hand and the Industrial Workers of the World. Problems came for Hirsch when he accepted a $3 deposit for the dining room of Floral Hall from Vincenzo Fabbrocino in May 1914. Fabbrocino was a printer and he told the proprietor that he needed the hall for a meeting of the typographical union. In 1916 part of the upper portion of the building was being used by messenger boys as their headquarters. Taking their lead from Jack Sullivan’s successful newsboy strike several years earlier, they went on strike against the Western Union and Postal Telegraph Companies, who employed 2,500 messenger boys. Throughout the rest of the 20th century, until 1967, the building saw a variety of uses. There were apartments upstairs in the 1920s; and the lower levels housed a meatpacking plant and a laundry at different times. In 1961 Ellen Stewart rented a theater in the basement of nearby No. 321 East 9th Street and established Café La MaMa. After moving three times, she found No. 74 East 4th Street. In 1967 she received grants from the Ford and Rockefeller Foundations, enabling her to renovate the building. Since that time La MaMa Experimental Theatre Club has been a vibrant venue for live theater in the Lower East Side. Although the ground floor has been sadly obliterated, the upper floors of this historic structure are mostly intact since Kurtzer & Rohl’s 1892 renovations—a handsome reminder of a time when German, not English, was the predominant language of the neighborhood. Brothers David and John Jardine were highly active in the development of the Upper East Side where they erected rows of speculative rowhouses following the end of the Civil War . The developers acted as their own architects and in 1879 completed a row of five brownstone clad homes at Nos. 52 through 60 East 68th Street, just two blocks from Fifth Avenue. Four stories tall over high English basements, they featured dignified neo-Grec elements. The houses at No. 52 and 54 were purchased by millionaire Anderson Fowler as investment properties. Fowler had made his fortune in the West in the packing business and upon his retirement he invested heavily in mining and other industrial enterprises. For his own family (which included nine children) Fowler chose another Jardine house, completed the same year, across the street at No. 41 East 68th. On April 14, 1888 the Real Estate Record & Builders’ Guide reported that “Ludwig Dreyfuss has purchased the four-story stone front dwelling No. 52 East 68th street.” Dreyfuss had married one of the daughters of Marcus Goldman. Goldman made his fortune providing diamond merchants and hide and leather dealers with ready cash in exchange for a note promising repayment plus interest. The dealers in such promissory notes were known as “note shavers.” Goldman was trading in as much as $5 million a year. By 1885 Marcus Goldman had already taken Sam Sachs as a partner (Sam had married Goldman’s daughter, Louisa). Now he also took his son, Henry, and Ludwig Dreyfuss into the firm, changing the name to Goldman Sachs & Co.
As the turn of the century arrived the brownstone house and its neighbors had become architecturally passé. Dreyfuss commissioned architect John H. Duncan to modernize the home in 1900. Duncan had designed impressive mansions, like the Philip Lehman house at No. 7 West 54th Street; but he was best known for his imposing Grant’s Tomb and the Soldiers’ and Sailors’ Memorial Arch in Brooklyn’s Grand Army Plaza. Unlike some of the other radical make-overs on the block, Duncan’s renovations would leave no question that this was Victorian brownstone wearing new clothes. The brownstone stoop remained, but was given new iron railings with a swirling French design. Duncan carried out the Beaux Arts motif on the first and second floors. The parlor received a vast arched French-styled window behind an ornamental grill. At the second floor the original trio of openings was replaced by a curved oriel window. There is little doubt that Dreyfuss instructed his architect to take the renovations no further. The upper two floors retained their neo-Grec windows and the original bracketed cornice. The result is a residence straddling two architectural eras; looking much like an unfinished project. The Dreyfuss family lived on in the house for another decade. Then on March 25, 1911 the Record & Guide announced that Ludwig had sold the house. “The buyer will occupy,” reported the newspaper. “The buyer” was Albert B. Ashforth, President of the Real Estate Board, President and Director of the Albert B. Ashford real estate company, and a director and trustee in other firms and banks. Ashforth was not merely wealthy, he was descended from what The New York Times would deem a “distinguished old New York” family. He was a relative of historian and intellectual Henry Adams, and he held memberships in several clubs, including the Union League, Bankers, and Automobile Club. His love for golf was reflected in his memberships in the Greenwich Country Club, the Garden City Golf Club and the Blin Brook Club. Three years later Albert B. Ashforth sold the house to his neighbor Margaretta C. Clark. She lived across the street in No. 49 and bought Ashforth’s property “to prevent the erection of a high building which would seriously affect the light and air of her residence,” explained The Times on April 20, 1928. The $125,000 she spent on the house would amount to about $1.6 million today. Silas Newton was an oil company official and a high ranking amateur golfer—the latter having resulted in the pair’s meeting and romance. The Newtons moved into No. 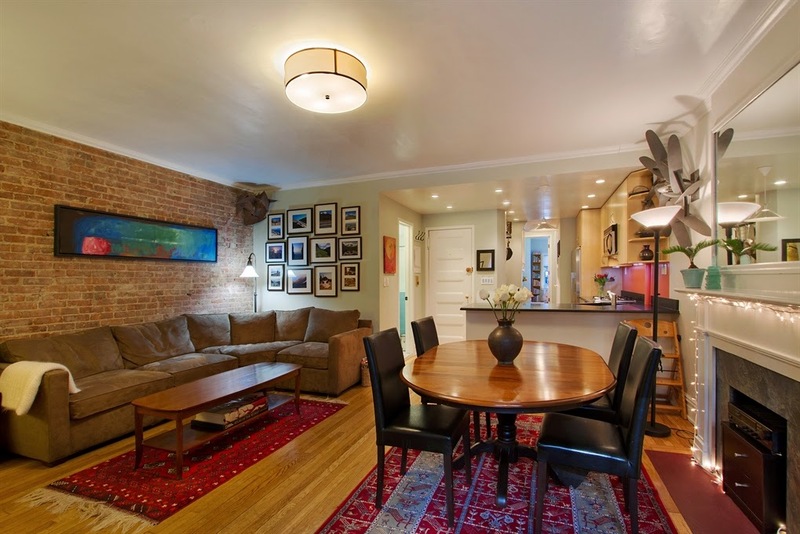 52 East 68th Street. As what was apparently a wedding present of sorts, Newton purchased jewelry for his new wife at the auction of the estate of Rita De Acosta Lydig. Some of the items were those Silas had purchased at the Lydig auction. The Times said the total value of the ten missing pieces was about $15,000—about $215,000 today and quite a haul in the Great Depression years. “The ten missing pieces included a pearl necklace, two bracelets and rings,” said the newspaper. More trouble would come to the Newton household five months later. On July 8 Silas was arrested “on a charge of conspiring with two others to defraud a 74-year-old man of his life savings, amounting to $25,000,” according to The New York Times on the following day. Newton dismissed the incident to reporters, insisting it was all a misunderstanding. “He took his arrest lightly and said the entire matter would be cleared up. He denied any wrongdoing, and told the detectives that if the complainant thought there was anything wrong, he should have called at his office,” said The Times. Silas Newton most likely began taking the affair less lightly when the state of New Jersey began extradition proceedings two days later. In addition to the fraud charges, he was being charged with being a fugitive from justice in New Jersey. The scandal was no doubt an embarrassment to Nan O’Reilly who, according to The Times in 1937, “contributed to, or otherwise worked for, every newspaper published in New York in the last twenty-five years.” The couple’s marriage did not survive significantly longer. Divorced, Nan died in 1937 at the age of just 41. By 1943 No. 52 was the home of Dr. Francis D. Gulliver and his family. Gulliver was a specialist in diseases of the eye and was the author of articles such as his 1942 “Particles of Steel Within the Globe of the Eye” published in a medical journal. The year 1943 was especially noteworthy for the family. On September 5 daughter Ruth Ann was married to Charles Daniel Sullivan; and a few months later the engagement of Frances was announced. A year earlier President Franklin D. Roosevelt had created the SPARS—the United States Coast Guard Women’s Reserve. Among the first enlistees was Frances Gulliver and by the time her engagement was announced she had risen to the rank of Lieutenant. Interestingly, Frances outranked her husband-to-be. Richard O. Jordan was an ensign in the United States Coast Guard Reserve. In 1952 the house was purchased by the Marquise Margaret de Cuevas and in 1984 it was converted to offices. Today the house with the architectural split personality is owned by the Center for Inter-American Relations. In 1882 few of the once-grand houses that had graced the former St. John’s Park neighborhood still stood. The elegant park had been replaced in the 1860s by the Hudson River Railroad Company’s freight terminal. Wealthy homeowners abandoned their Federal-style brick mansions, which in turn were rapidly converted for business or razed for hulking warehouse buildings. If the Cary Brothers had originally intended to consolidate their storage business into this one structure; the idea did not last long. A variety of merchants took space in the building. In 1890 Charles H. O’Neill & Company held the entire building. The firm imported millwork from the lumber mills of the vast Midwest logging areas. Unneeded lofts were leased to other firms. In May 1895 the company advertised “To Let—Lofts, 28x132, power, elevator, office rooms.” Among the companies that shared the building with C. H. O’Neill was World Paper Co., which, despite the misleading name, manufactured shirts. 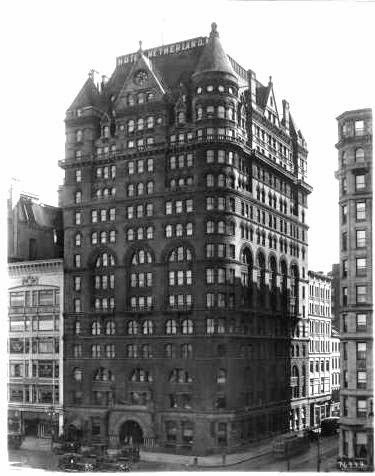 On April 21, 1910 it was announced that Bechstein had given at 10-year lease on the building to Crandall-Pettee Co., “a corporation.” The lease, active on May 1, had an initial rent of $7,000 (about $166,000 today) and increased to $7,500. 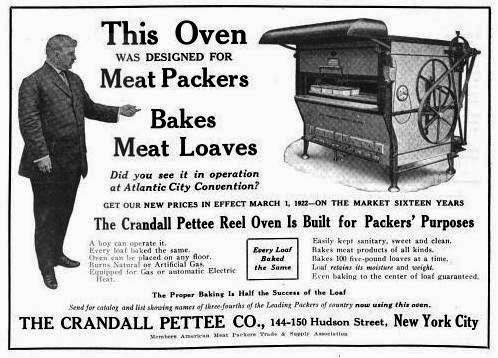 In 1922 Crandall-Pettee Company moved across the street to Nos. 144-150 Hudson Street. The following year The New York Times reported that Augustus E. Bechstein had sold the six-story building to Ernst Bischoff for $135,000. “The purchaser will use the building for his own business of wholesale chemicals,” the newspaper noted. Ernst Bischoff Co., Inc. “manufacturers of technical and medicinal products,” would remain in the building for over two decades. Bischoff sold the building in 1946 and it would change hands again in 1950 and 1954. By the last decade of the 20th century the Tribeca area was less about warehouses and delivery trucks than about trendy restaurants owned by celebrities and luxurious residential lofts. In 1990 No. 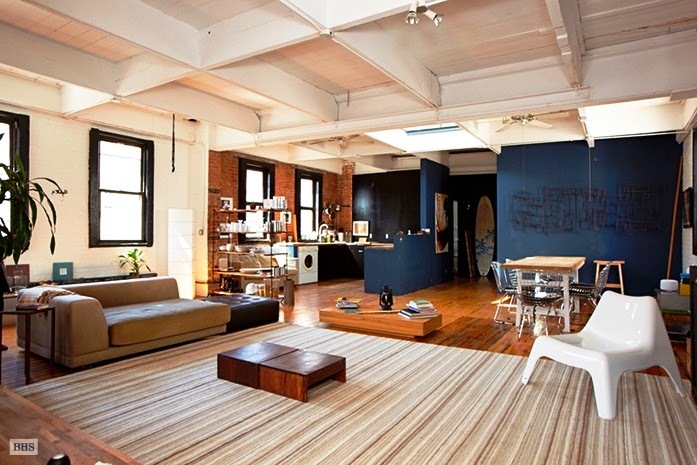 135 Hudson Street was converted to twelve massive “joint living/working quarters for artists”—just two per floor. The battle for Fifth Avenue between millionaire homeowners and commercial enterprise was well underway by 1890. Although jewelers, dressmakers and art dealers were making inroads among the brownstone mansions, it was the grand hotels that were the largest threat to the residential neighborhood. As early as 1871 construction began on the block-wide Windsor Hotel between 46th and 47th Streets. 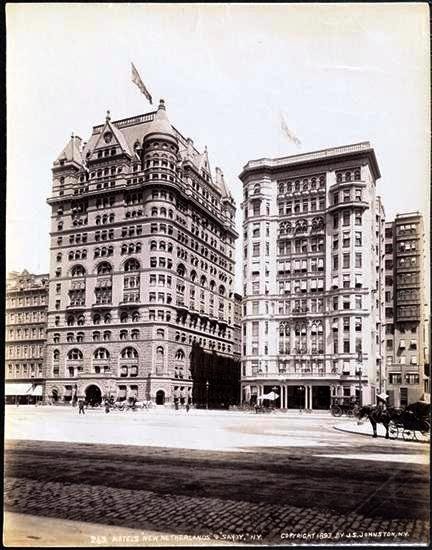 Now, in 1890, the doors opened to the new Plaza Hotel at the northern fringes of Millionaire’s Row and William Waldorf Astor demolished his father’s mansion at the northwest corner of 33rd Street and broke ground for the hulking Waldorf Hotel that same year. 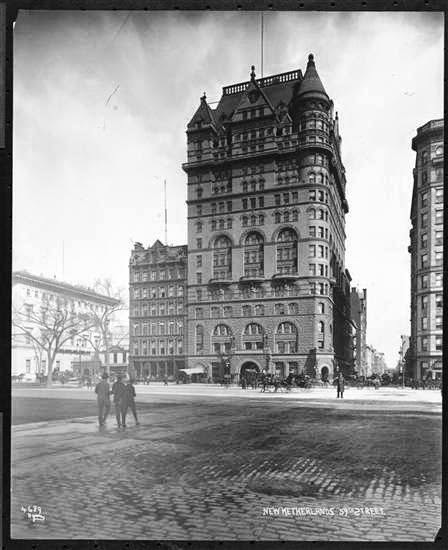 As Astor’s massive hotel designed by Henry J. Hardenberg rose, the millionaire commissioned William Hume to work on another grand hotel, diagonally across from the Plaza at the southeast corner of Fifth Avenue and 59th Street. Hume presented Astor with designs for an imposing brick and stone structure with remarkable similarities to Hardenberg’s Waldorf. Perhaps questionable by 21st century minds was the engineer’s idea for the in-house generators. “A noticeable feature of the electric installation lies in the fact that no belts are to be used in power transmission; imported cotton rope will connect the engines, jack-shafts, and dynamos. When completed, this will be the largest rope-driven electric plant in this or any other country,” said Electricity. 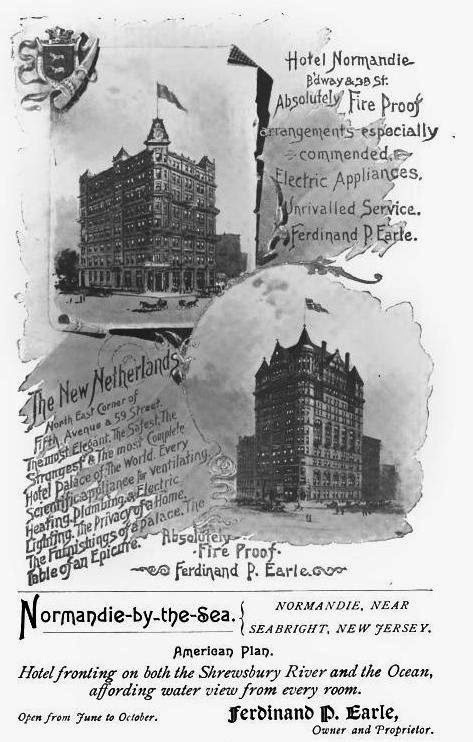 As the hotel neared completion, Astor leased it to Ferdinand P. Earle who also ran the high-end Hotel Normandie on Broadway. One of Earle’s first challenges concerned the waiter’s union. To avoid the labor problems several other hotels were experiencing, he agreed to hire union waiters. But he put his foot down when it came to facial hair. On May 13, 1893 The New York Times reported “The members of the International Hotel Employes’ Association were happy yesterday. A report was brought down to their headquarters at the Chimney Corner that the manager of the New Netherlands Hotel, which is to be opened on Decoration Day, had decided to employ association waiters, but on the condition that the men should not insist on wearing mustaches. If Astor had paid a fortune for the construction of the hotel, Earle was not far behind in its furnishings. All told, the project cost $3 million—more in the neighborhood of $75 million today. 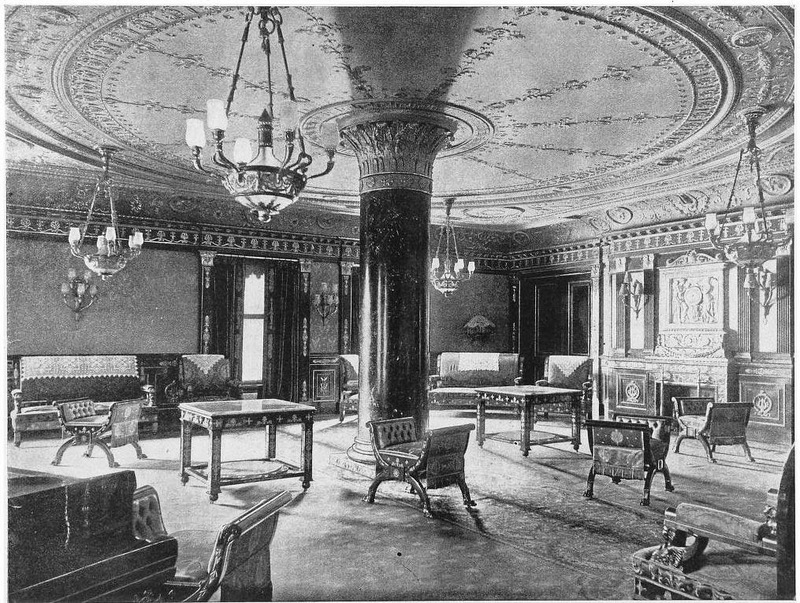 The interiors were decorated by James T. Hall & Co. of New York and no expense was spared. In a well-conceived publicity ploy, Earle invited three United States Senators to spend the night in the hotel one day before the opening. Senators David B. Hill of New York, Charles J. Faulkner of West Virginia and Fred T. Dubois of Idaho had the cavernous hotel to themselves “in apartments equally as gorgeous and far more extensive than those which the Nation’s Spanish guests have been given,” said The Times on June 1, 1893. 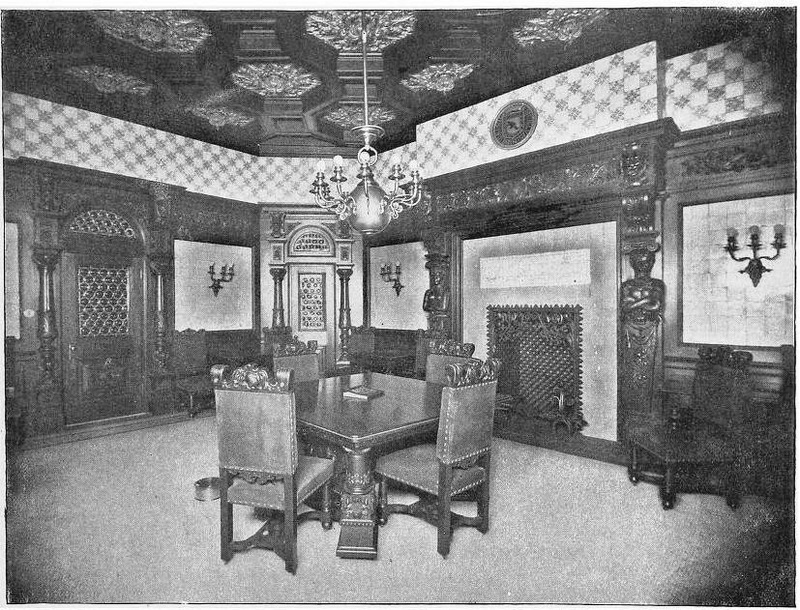 “The parlors of the house, with their costly drapings and upholstery, the immense dining room finished in Mexican onyx, the spacious halls and corridors, approached by a staircase in carved Numidian marble, and even the bridal chambers were at their disposal, with none to molest or make them afraid,” reported the newspaper. Among the works of art was an immense oil painting by Franklin Tuttle in the lobby depicting the purchase of Manhattan Island from the native Americans. The painting measured 25 by 12 feet and the figures were nearly life sized. A clerk explained to Senator Dubois that the price paid for the land was $24. “’There has been a noticeable increase in the value of that real estate,’ mused the Senator as he moved away to look at another painting, which represents the refusal of Peter Stuyvesant to cede Manhattan Island to the English,” said The Times reporter. But first there was the matter of formally opening the hotel. And it would be an astounding exhibition of electrical technology. At 10:00, with the senators and newspaper men crowded around, Earle’s young son, Guyon Locke Crocheron Earle, pressed a button. “This act will start the machinery plant of the house, unfurl a United States flag on the flagpole, seventeen stories higher, and discharge a cannon which has been fastened to the roof. The house will then be declared open for guests,” said The New York Times. In fact, no expense had been spared. Earl purchased the carpeting, draperies, wall hangings and upholstery from W. & J. Sloane for $74,000. The Phoenix Furniture Company had custom built the furniture for $180,000. The silverware was provided by Gorham Manufacturing Company at a cost of $65,000. The combined outlay to these three suppliers alone would amount to about $8 million today. Ten days earlier, the hotel had been the scene of a politically and socially-important function. On Thursday November 16 St. Patrick’s Cathedral was “filled with distinguished people,” according to The Evening World, as Elizabeth Elkins married Edwin E. Bruner. Not only did Archbishop Corrigan participate, but Cardinal Gibbons of Baltimore had traveled to New York to officiate in the ceremony. The bridal party, including the maid of honor, Grace Davis, who was the daughter of Senator Davis of West Virginia, and the Elkins family took rooms in the New Netherlands Hotel. The bride’s father was Stephen Benton Elkins, the Secretary of State under President Harrison. Following the ceremony, “The wedding party were driven directly to the New Netherlands Hotel, where there was a wedding breakfast in the banquet hall, on the parlor floor. The breakfast was eaten standing. The guests were 125 in number, and the breakfast was followed by a reception, the whole of the magnificently appointed parlor floor being given up to the reception,” said The Evening World. The magnificent appointments referred to by The Evening World would invite trouble later that year. The hotel was decorated with costly objects and works of art—a fact that was a bit too tempting for some employees. In September 1894 the manager noticed “that choice bric-a-brac, rare vases, silver and chinaware were mysteriously disappearing,” reported The New York Times. The house detective was put on the case, who discovered within 30 days “several thousands of dollars’ worth of goods had been stolen,” and eight employees were under suspicion Two police detectives were called in to help on the case. “They found that the method was to throw the valuable booty into the ash carts, and afterward pawn it,” explained The Times on November 27. Twenty-nine year old Allen Curry was a watchman with a salary of $40 a month. His participation in the ring enabled him to spend $45 a month on rent. “When the premises were searched large quantities of the finest provisions that money could buy were found,” said The Times. As with any hotel, The New Netherlands had its share of customer peculiarities. Near the top of the list of most unusual was Anna Held, a French-Polish singer. 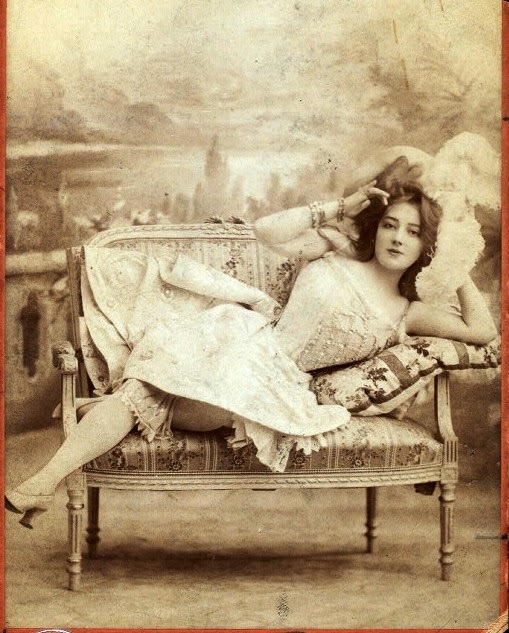 The chanteuse arrived in New York in 1894 under contract with Florenz Ziegfeld. It would be Held who suggested to the impresario that he stage an imitation of the lavish Parisian Follies. But for now the woman whom The Times called “the much-advertised French singer” checked into The New Netherlands Hotel. Among the diva’s demands was 40 gallons of milk every day “for bathing purposes.” Ziegfeld contracted with the Long Island milk merchant H. R. Wallace to supply to milk at 20 cents a gallon. 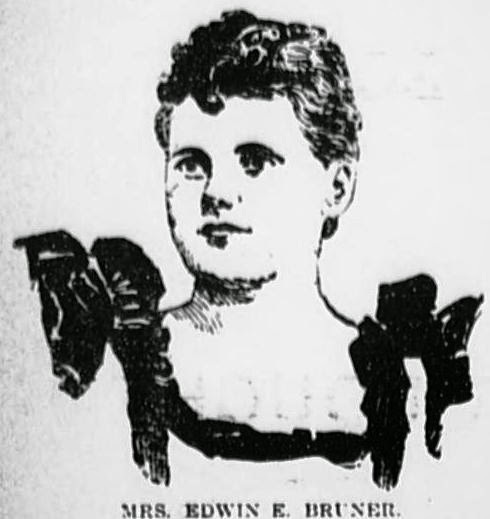 “Miss Held had used 320 gallons, when she says she discovered that it was not fresh, and lacked the ‘creamy’ quality essential,” reported The New York Times on October 10, 1896. Anna Held refused to pay for the milk, so Wallace sued her for the $64. Victorian courtrooms were no place to air the subject of naked women in tubs of milk. “Mr. Marks, Miss Held’s personal representative, said yesterday that the matter would be settled out of court, as milk baths were too peculiar to be discussed in public,” reported The Times. Despite the publicity about milk baths and Anna’s questionable talents (The New York Times said “her abilities are of the most ordinary kind…her voice is not sweet or very strong and she uses it with no remarkable skill”), Ziegfeld was enamored with her. In the spring of 1897 the couple signed a document in Anna’s suite in the New Netherlands proclaiming themselves married. Although the “ceremony” had neither clergy nor public official, it was witnessed by “Diamond” Jim Brady and Lillian Russell, and Flo and Anna lived together as husband and wife for nearly sixteen years. As the 20th century dawned, the hulking Victorian hotels of a generation earlier lost favor. 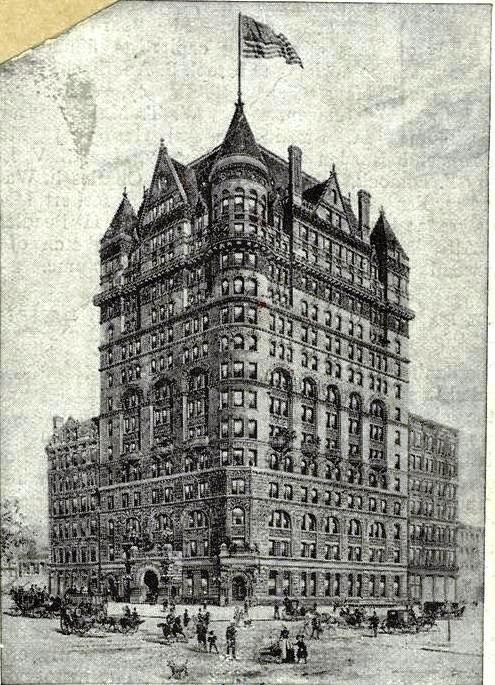 In 1905 the Plaza Hotel was demolished and in its place Hardenberg’s lavish new Plaza was erected. The handsome French Renaissance palace stood in stark contrast to the dour brick-and-brownstone New Netherlands across the plaza. In 1926 demolition of The New Netherlands began. 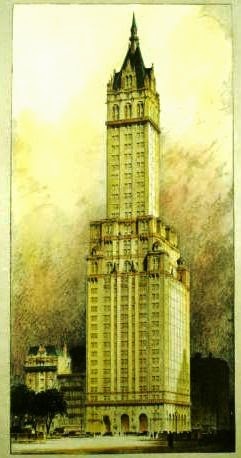 It was replaced by the 38-story Sherry-Netherland Hotel designed by Schultze & Weaver with Buchman & Kahn. Now an apartment hotel, the Sherry-Netherland survives as a familiar landmark for New Yorkers, few of whom are aware of its magnificent namesake that stood here before it.